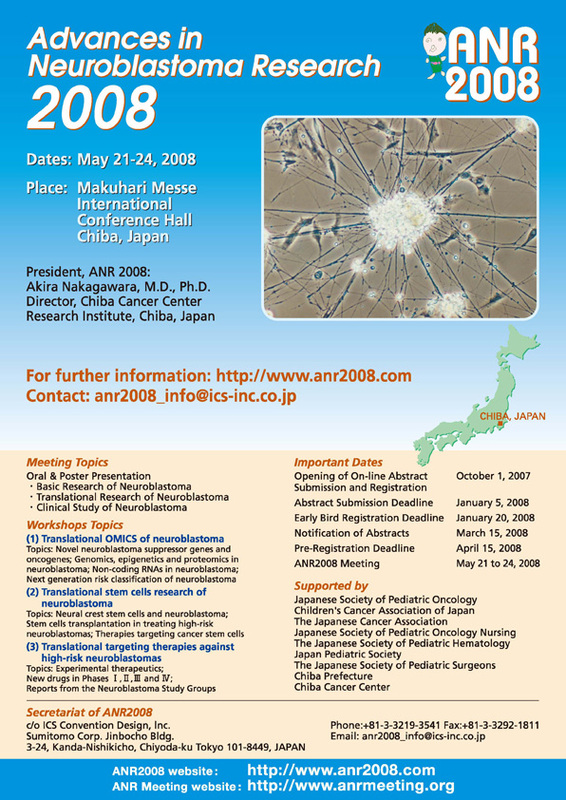 The Advances in Neuroblastoma Research 2008 conference took place from May 21 to 24, 2008 at Makuhari Messe in Chiba, Japan. Galleries will open in a new window. Left-click to watch in a new window, or right-click to download and save to your computer.